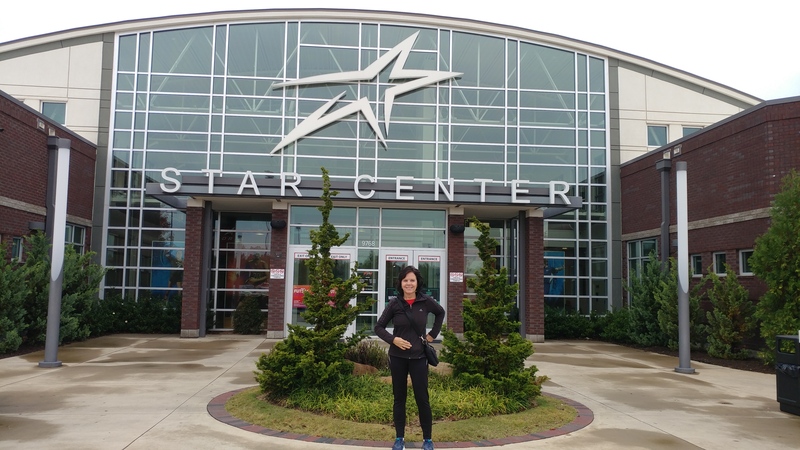 Star Center. Main headquarters for Upward Sports. 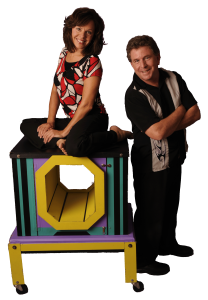 Let Ned and Joan “Rock the House” at your next Upward Award Night! Free Report: 7 Biggest Mistakes Upward Directors Make and How to Avoid Them -Click here. For your Upward Awards Night, you need Ned and Joan. Their Kidz Mania! ; a highly interactive juggling and illusion event is unsurpassed. 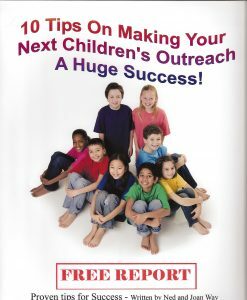 Ned and Joan can put on the biggest Upward event your kids have ever seen. 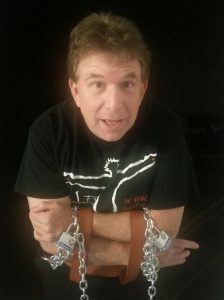 Not only a dynamic and comical performer, Ned shares the Gospel message throughout the program. When it comes to decision time, the kids and families know exactly what Jesus did for them. Ned’s use of magic was fantastic! He had the kids so focused and gave a great, clear presentation of the Gospel. I would recommend that for any upward awards night presentation. He is so flexible with his presentation and able to adapt to any time frame or schedule you need. Blake Hayworth, First Baptist Church, Springfield, Missouri. 1) Amazing and memorable circus skills They were featured performers for the “Kids Gig”, a part of the Billy Graham crusade in Louisville. 2) It appeals to be entire family, preschoolers; elementary; youth; adults and even senior citizens, we’ve ministered to each group on their own. we reach and appeal to the entire family, at every age level. 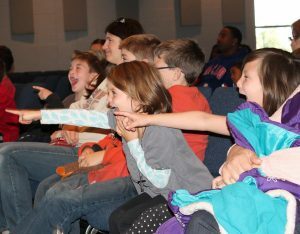 3) Performing experience We are professional illusionists, jugglers and family/kids evangelists based out of Louisville, KY. We have performed with Ringling Brother’s/Barnum and Bailey Circus, Disneyland, Disney World, and other notable places. We know how to reach an audience! |4) More audience participation than you can shake a stick at. Your audience will be involved throughout the Program. Fun and surprises await them. 5) Full of comedy and humor There will be moments you will have to stop and breathe. Your sides will ache you will be laughing so hard. 6) Powerful Ministry You don’t expect to move a crowd to make decision for Jesus with a small 5-minute gospel presentation at the end of a show. Neither do we! By the end of the program they will have heard the Gospel message in many colorful and effective ways. They will understand what Jesus did on the cross! Tim Williams, Roebuck Baptist Church, Roebuck, South Carolina. We recently had the privilege of ministering at First Baptist Church in Spartanburg, SC with Eddie Robertson. This is Caz’s his home church. We were very blessed to be there. Please take a quick look at what Eddie had to say about our program. Remember these Guaranteed Results you can expect! Just wanted to thank you so much for the excellent job that you did at our Upwards Basketball Awards Night. The people are still raving about your performance. The way that you wove the Gospel into every segment of your show was just awesome. I would be willing to recommend you to anyone who is interested. They can’t go wrong with having Ned and Joan perform and share the Gospel. We had 12 decisions to follow Christ and 11 more children who wanted to find out more information on how to become a Christian after our Upward Awards Night. Thanks Again! So are you ready to request your booking for your Awards Night? If so, the fastest and easiest way to do so is to simply fill in your information into the form below. Shortly after we receive your info, we will touch base with you to confirm availability and cost. Or you can also pick up the phone and call us now at 1-800-229-KIDS.